Flowers – Dan R. Olsen Jr. 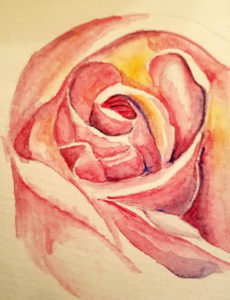 Still working on my watercolors. The shape turned out easier than getting the smooth surface of the petals right. A good friend thought it was a rose made of prosciutto.